With the invitation from partner universities in Inner Mongolia, CEO of AEMG Mr. Roger Li and Director of Global Engagement and Partnership Development Mr. Elroy Duan visited Inner Mongolia University of Finance and Economics and Inner Mongolia Normal University on March 21st and 22nd, 2016. In the morning of March 21th, the delegation visited Inner Mongolia University of Finance and Economics. President Mr. DU Jinzhu, Vice President Ms. HOU Shuxia and relevant officials held a meeting with the delegation. Both parties reached extensive consensus on the cohort recruitment of joint education programs and co-cultivation of intellectuals. 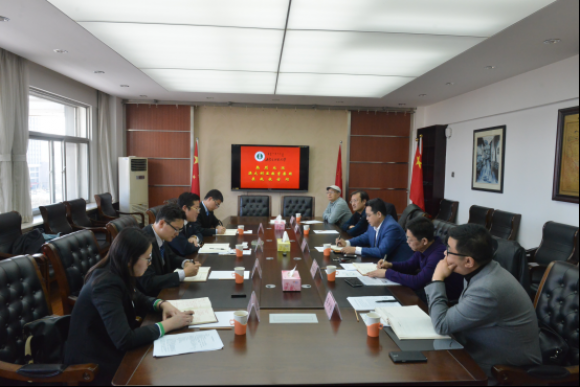 In the afternoon, the delegation visited Inner Mongolia Normal University, and had a meeting with Vice President Mr. ZHANG Haifeng and relevant officials. Both parties spoke highly of the achievements in the field of joint education programs, and further discussed their collaborations in the future. Particularly, they united their ideas of intellectual cultivation and teacher training. Through the visits, the mutual understanding between AEMG and partner universities has been furthered, which has laid a solid foundation for future cooperation.